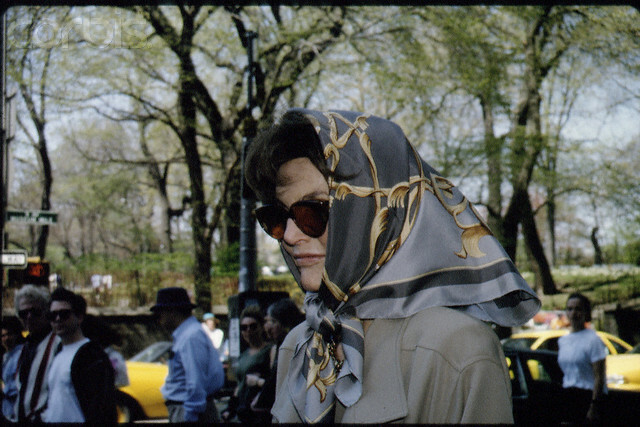 Reference: Jackie O. wearing her Crown scarf in 1994. Click on thumbnail. 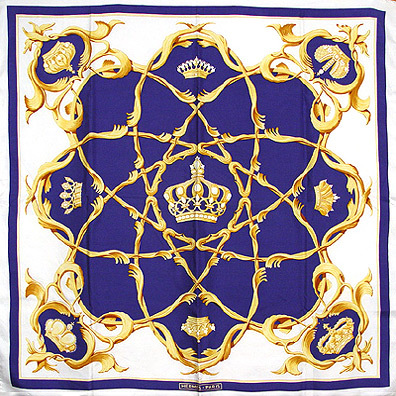 Note: Untitled on the scarf but commonly referred to as “Crown”. Depicts French style crowns. Posted on Wednesday, December 26th, 2007 at 8:38 am	under Abadie, Carres - 1960s, Celebs Wearing H, Untitled Carres	. Are any of artist Julia Abadie’s scarves available for purchase? 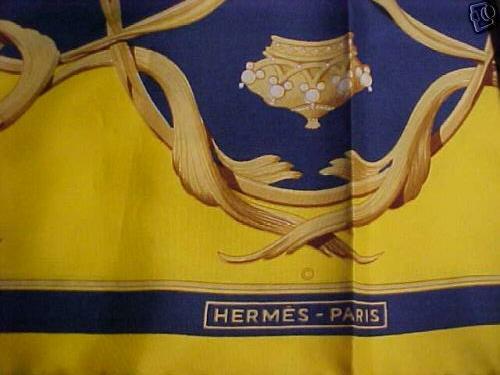 I have always worn Hermes, & was thrilled to see that an Hermes artist & I share the same name. I have an Hermes Cieles Byzantins by Julia Abadie. Does her signature appear on all of her Hermes scarves and do you know if she is related to the famous architect Paul Abadie ? Hi, is it possible to buy this scarf from you?